Session One Finished and Available! 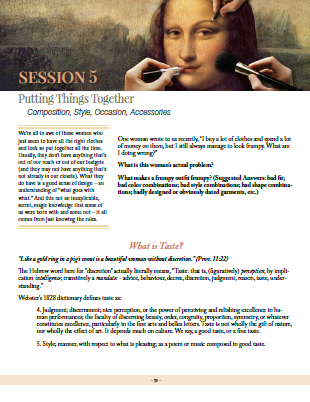 Praise the Lord for giving us a successful first session to the Reclaiming Beauty webinar. And our very warm thanks to all of you who joined us on Tuesday night! For those of you who didn’t, we’ve decided to make the recording of this one session available to everyone free of charge. Go here to download the session, and here if you’d like to sign up for the rest of the webinar. There are six more episodes to come! 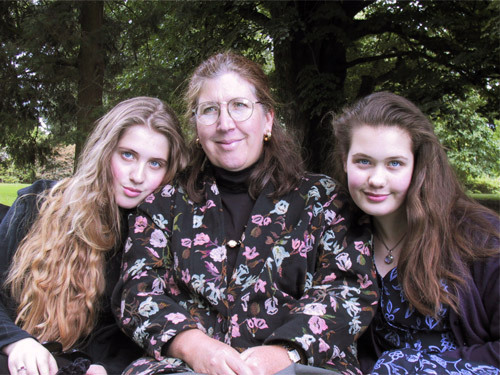 Us with our mother in 2001, ages 16 and 14… before the days of hairstyling, makeup, or clothes that fit. 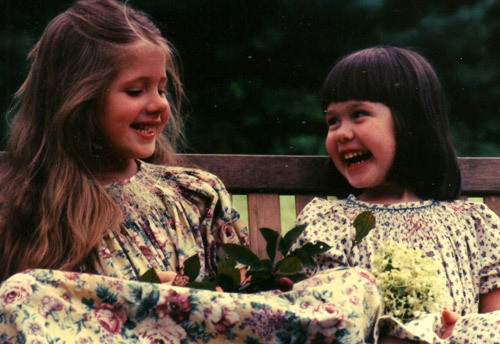 As the launch date for our “Reclaiming Beauty” webinar draws near, we’ve been thinking about what an important part mothers play in this part of their daughters’ lives. Though the webinar is targeted at young women, we’ve persuaded our mother to share some helpful words for other mothers on how they should approach this issue and help their daughters with it. We considered having her share this as a guest in one of the sessions, but decided this message was so important that we wanted to make it available to everyone for free. Please listen to this message. Pass it around to your friends. And don’t forget to sign up for the webinar! September 25 is just around the corner. First “Reclaiming Beauty” Session Open to the Public! Space is limited, so after registered participants, seats will be awarded on a first-come, first served basis. Click here to sign up for the first session free of charge. We look forward to starting this journey with you on September 25! Earlier this year, 18-year-old Florence Colgate was dubbed “Britain’s Most Beautiful Face,” not by the authority of beauty pageant judges, but by the authority of science and math. Miss Colgate’s face won out over 8,000 others on the basis of best match-up with a mathematically devised blueprint for perfect facial proportions based on the Golden Ratio. 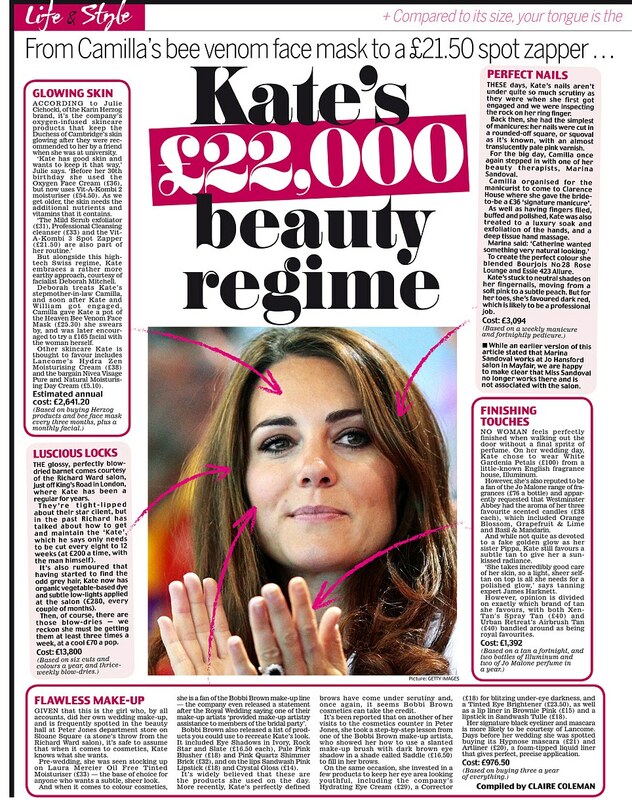 What have you always wanted to know about beauty and beautification? 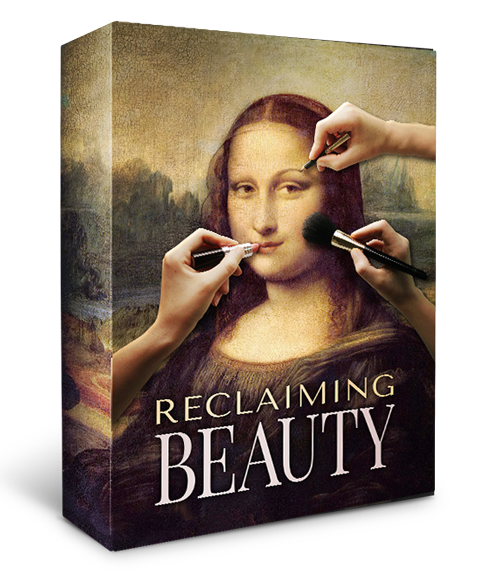 Whether your questions are philosophical or practical, we’d like to invite you to throw them our way as we prepare for the “Reclaiming Beauty” webinar. We’ll be answering questions live during the webinar, but hearing your biggest questions now will help us make sure our sessions will tackle are all the major topics our listeners want to hear about. Just email us at damselsATvisionarydaughtersDOTcom, and let us know what you’d like to hear us address. We’re looking forward to hearing from you! Some say beauty fits in a size 0. Some say beauty comes in all shapes and sizes. Some say beauty is only skin deep. Some say beauty is only a quality of the heart. Some say beauty is truth. Some say beauty is a lie. Some say beauty is in the eye of the beholder. Some say beauty is as beauty does. Some say Elizabeth Taylor and Grace Kelly are beautiful. Some say everyone is beautiful. Some say beauty is divine. Some say beauty is corrupting. From all this confusion, one idea emerges clearly: The world knows beauty matters. They talk a lot about it, write poetry and paint paintings celebrating it, and spend $160 billion dollars a year on it. But what’s equally clear is that they don’t know what it is. The question is: Do we? Today’s young Christian women have grown up in the most image-obsessed generation in history, a generation that worships some of the most twisted ideals of beauty the world has ever seen. But whether we love them or hate them… they tend to shape our own perceptions of what beauty is. Some of us accept its ideals, and struggle to fit into its mold – others of us are repulsed by it, concluding that physical beauty itself is immodest, worldly, and unspiritual, and reject the realm of beautification completely. But when all we’ve ever seen is the counterfeit the world offers, we can sometimes forget that the world did not create beauty – God did. And though we all know the world has a lot to say about image, we sometimes don’t realize how much God does too. It’s time to reclaim beauty. For thousands of years, believers, pagans, Gnostics, Humanists, Neo-Platonists, iconoclasts, and creators of culture have battled over this critical turf called “beauty.” Today, we have only to look at who designs the fashions, markets the beauty icons, rules the red carpet, adorns magazine covers, crowns Miss America, and designs clothes-and-makeup advertisements, to know who is currently holding the turf. It’s time to take beauty back. When faced with an industry that runs on photoshop airbrushing, plastic surgery, starvation diets, grotesque catwalk styles, and billions of squandered dollars, our response can no longer be, “Beauty is not for us.” It’s time for our response to be, “Get your flag out of our ground.” It’s time for us to be a light in a culture that uses beauty as a weapon against God. It’s time for God’s ambassadors to make His principles – such as modesty and femininity – look as beautiful as they really are. It’s time for us to show the world: Ugliness is not beauty. Emaciation is not beauty. Androgyny is not beauty. Immodesty is not beauty. Unnatural distortion is not beauty. From Genesis to Revelation, God paints a different picture of the inner and outer beauty of a woman, and it’s time to show the world what it really looks like – one soul, one body, one face, one closet at a time. This fall, the authors of So Much More and It’s (Not That) Complicated and producers of “Return of the Daughters” are launching an intensely practical, image-rich, 7-week webinar on the meaning and cultivation of beauty from the inside out. Join sisters Anna Sofia and Elizabeth Botkin as they dive into Scripture for the answers to an issue of great importance and frustration to young women: personal image. Is it OK to look pretty? Wear makeup and jewelry? Put effort into my clothes? Take care of my body? Do I have to care about how I look? Where can I find modest, classy clothes without spending a fortune? 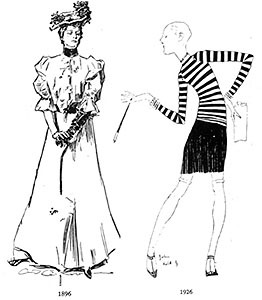 What should my attitude be toward the latest fashions? How do I figure out what looks good on me? What is appropriate to wear when? What in the world do I do with my hair? “Reclaiming Beauty: A New Look at How to Glorify God in Your Body” will cover topics ranging from such practical issues as skincare, fitness, posture, voice, modesty, home-made beauty products, and color analysis… to subjects as penetrating as personal identity, insecurity, comparisons, worldliness, vanity, idolatry, our attitude toward others, and the state of our hearts before the Lord. #2: What Style Is Your Heart, Mind, and Soul? The webinar registration fee is $44 per family. It is recommended for young women 12 and up, although parents are encouraged to listen with their daughters. 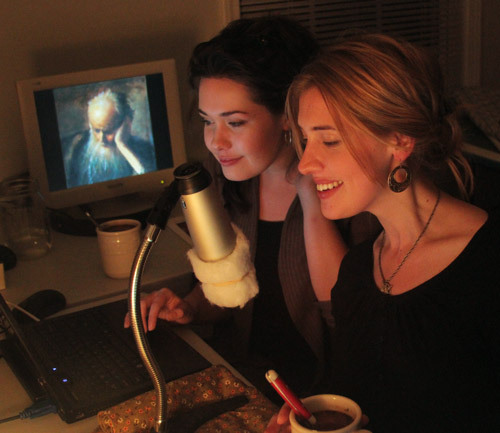 Starting out as aesthetic ascetics and determined frumps who were clueless about beauty and fashion, Anna Sofia and Elizabeth have had to build their understanding of beauty from the biblical foundation up (a work still in progress). They have no beauty certifications whatsoever, though they do have experience dressing for everything from speaking engagements to political events to concert harp performances to good old dirty work around the farm, and each get everything they need (clothes, shoes, hair care, accessories, cosmetics, etc.) for around $130 a year. They’re also interested in reclaiming the biblical family, film, art, music, and politics, and work with their family’s ministry, Western Conservatory of the Arts and Sciences.